I am reliably informed that Ms. Badzak already has a publisher who has agreed to the publication & distribution! Her testimony is likely to be damning - it does seem that UKIP manages to make enemies of all too many of its activists and supporters - little wonder they have so clearly relegated themselves to being a footnote in history as far as domestic elections are concerned. One hint I can give them is to lie about people and seek to defame them is all too certain a way to ensure relentless opposition. 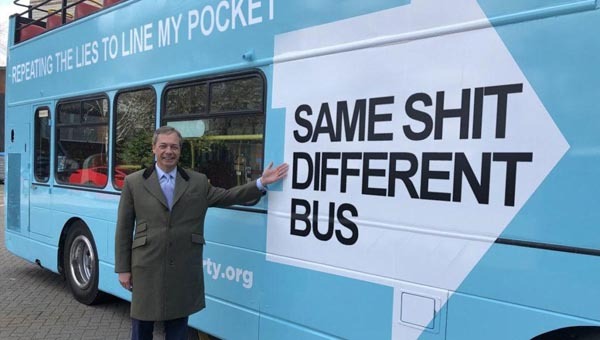 So also is UKIP's fundamental corruption and failure to pay its moral commitments whatever dishonest means they may use to pretend they are not involved. Currently UKIP has failed to pay me the £13K+ they morally owe me despite their sordid efforts to blame third parties. UKIP has no future, just look at the liars, low lifes and pond life like Mick McGough, Stuart Parr, Gerard Batten, Derek Clark and many more liars cheats and charlatans, many too ashamed of their behaviour to put their name to their cyber lies and bullying - Oh so very typical of UKIP.